It reads, “Fear No Wave”. It is all in the creativity. And piercing on a cold one. All the way to the edges of the tall grass growing on the sides. Borrowing that of the Sun. Giving us a sensation that of a lover’s touch. The coast guard patrols around hovering in a helicopter over these wet waves. So we can slide down the course of nature again. But waves don’t melt us. Pratik Mamtora was born & raised in India. He has lived in London, United Kingdom for three years & absolutely loved it there. 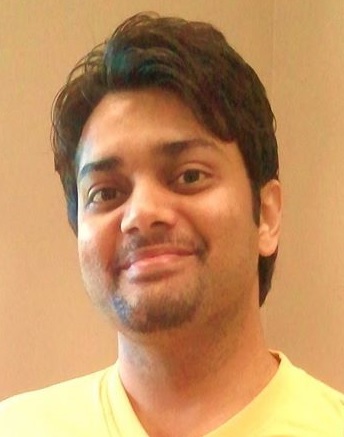 Pratik has a Bachelor’s in English from India and Master’s (ABD) from UNA. He loves to read and write, especially poetry. Pratik enjoys coffee & conversation and is passionate about serving the community. He invests himself in understanding the needs of the modern world and the evolving spirituality within. Pratik is known to walk that extra mile to make others happy. If you ever meet… or when you meet him, Pratik will make you smile.